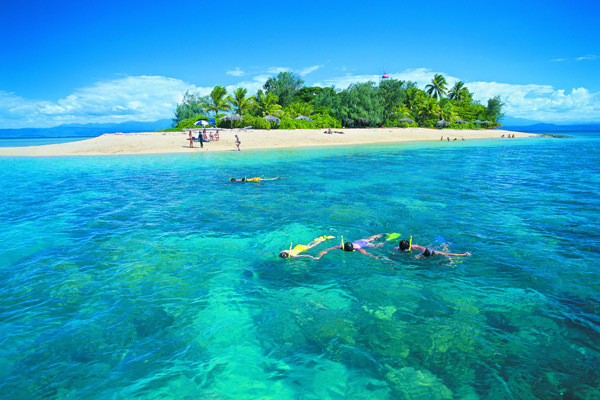 Imagine sailing to the Great Barrier Reef island of your dreams, lying under a palm thatched umbrella, then slipping into the water to drift over coral gardens alive with turtles and brilliantly coloured fish. 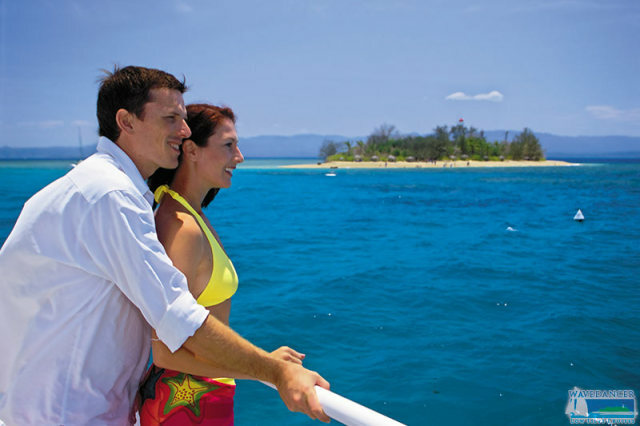 Set like a jewel in a Great Barrier Reef lagoon, Low Isles appeals to everyone. From the moment your luxury catamaran moors in the calm waters of the island's picturesque lagoon, a host of reef activities await you. 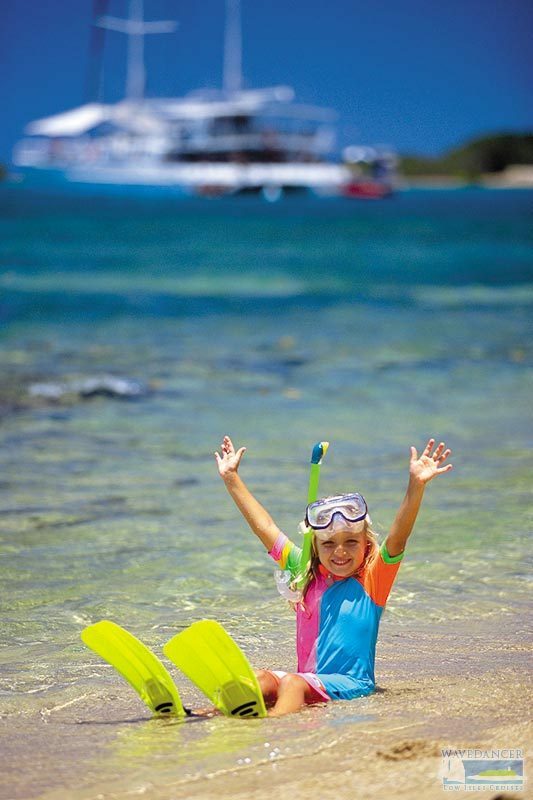 The wide sandy beach and clear, calm lagoon are ideal for swimming, snorkelling and families. 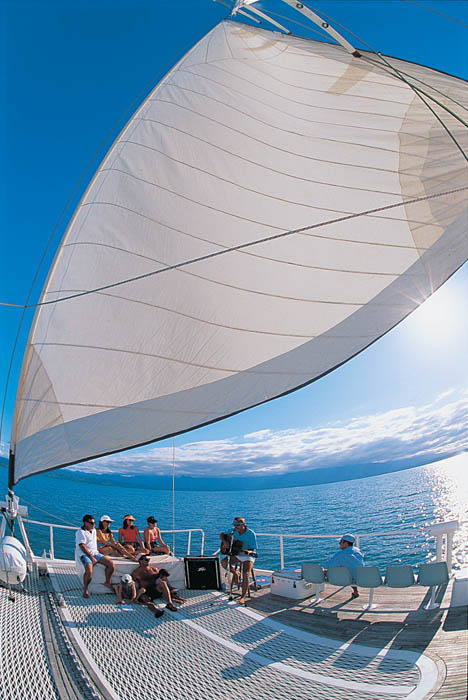 Check in time is 9.15am at the Quicksilver office, at the Crystalbrook Reef Marina on Wharf Street, Port Douglas. 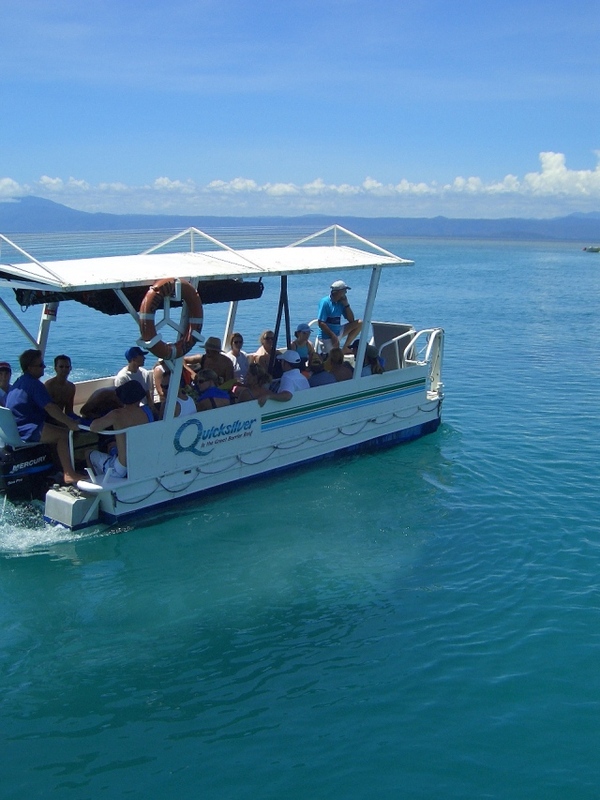 The friendly Quicksilver Wavedancer crew will guide you through all the activities on Low Isles, from snorkelling and exploring the island's beach with an expert marine biologist, to seeing the coral gardens from a glass bottom boat. 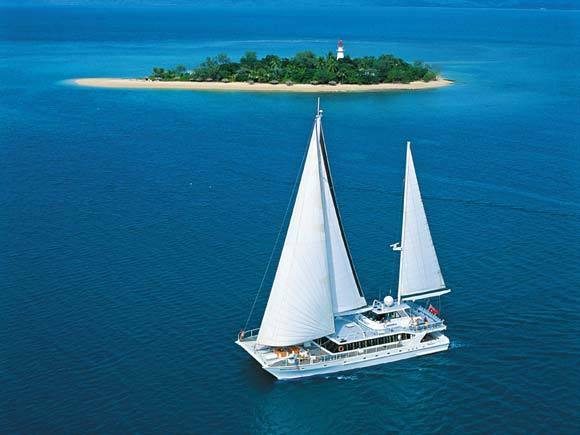 Wavedancer remains moored in the island's lagoon, and guests can take a regular shuttle from the beach to the boat. 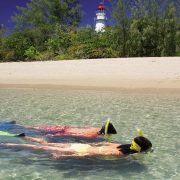 Snorkelers have the opportunity to join organised snorkel expeditions and view the creatures of the reef with a Marine Guide. 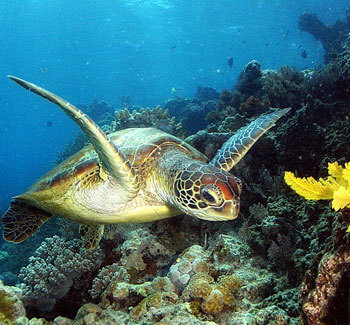 If you're lucky you might spot one of the Turtles that regularly visit this tranquil location. 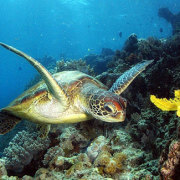 Low Isles is surrounded by 165 different species of hard & soft corals and is a haven for Turtles. A large variety of marine life such as molluscs, sea cucumbers & fish such as colourful blue, green and purple parrotfish are a common sight. 9.30am Complimentary morning tea/coffee on boarding. Passengers are required to be on board the vessel 15 minutes before departure. 9.45am An informative Marine Biologist presentation is shown in the main cabin. 10.00am Wavedancer departs Marina for Low Isles. 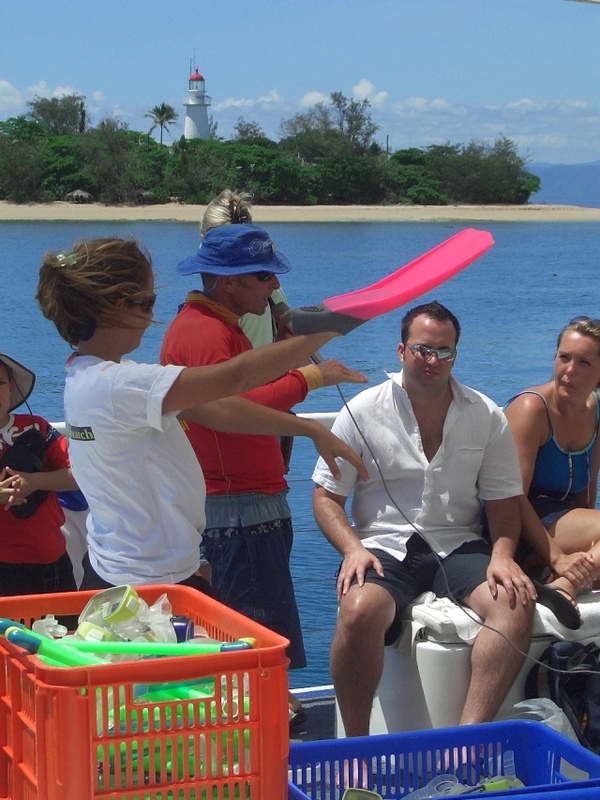 10.30am A snorkelling demonstration is conducted during the journey to Low Isles. 11.15am Wavedancer arrives at Low Isles and your activities commence. The coral viewer and shuttle vessels leave for the island, and continue to run throughout the day. 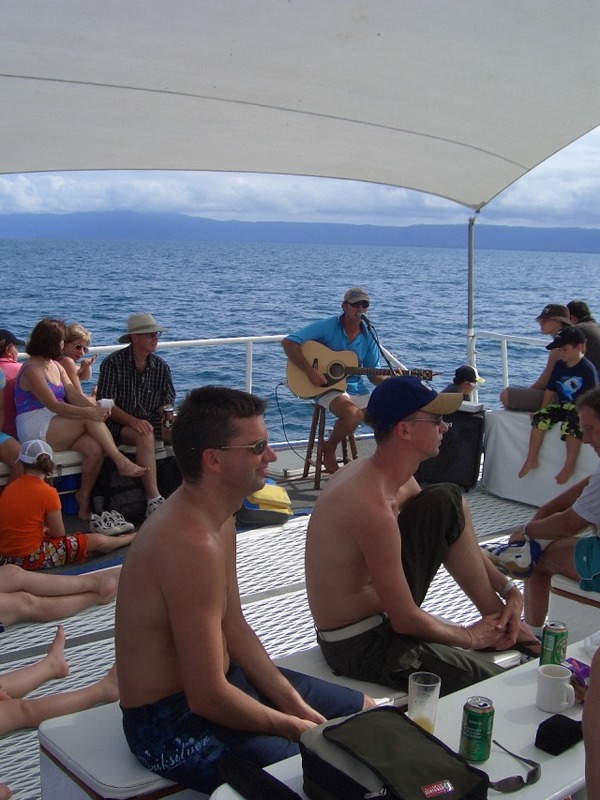 Your snorkelling equipment is available from the storage containers on the foredeck of Wavedancer. 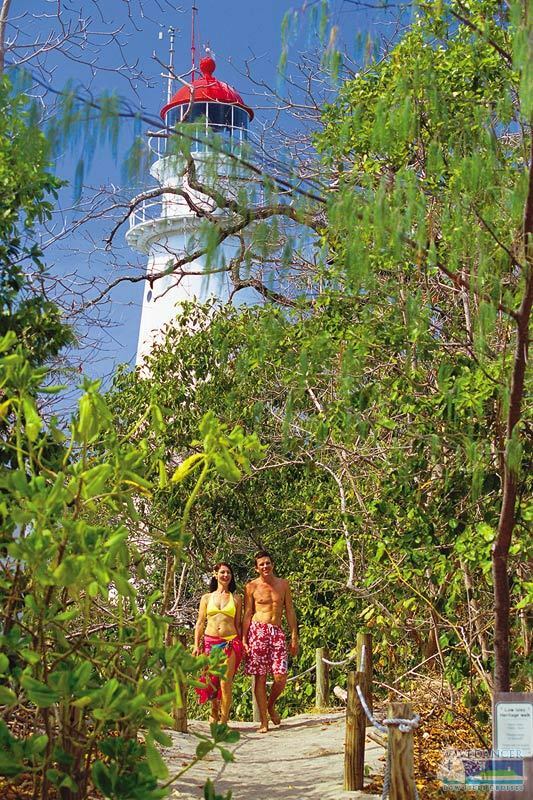 We recommend that you conduct all snorkelling from the island. 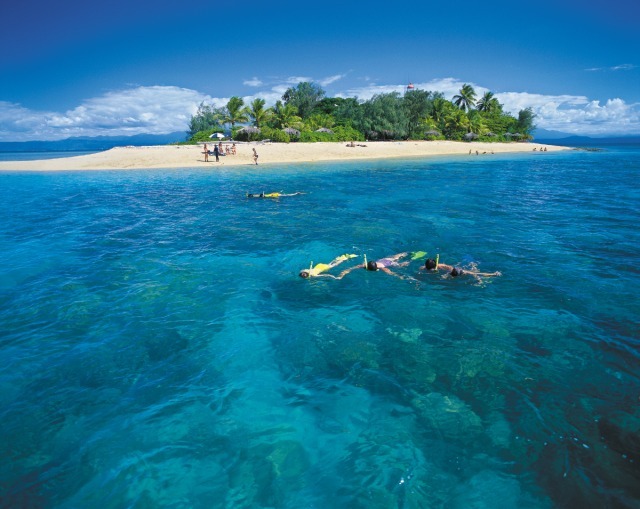 The guided snorkelling tour operates from the island. 12 noon Lunch is served on-board Wavedancer. Enjoy your tropical buffet. Bar operates throughout the day. 1.30pm A Beach Walk is conducted by a Marine Biologist from the shuttle boarding area on the beach. 2.45pm Last shuttle leaves the island to return passengers to the vessel. Afternoon tea is served. 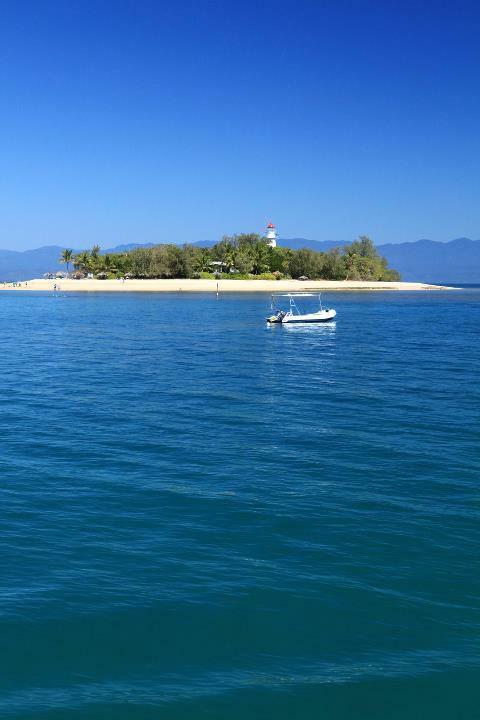 3.10pm Depart Low Isles for Port Douglas. Enjoy light entertainment during the return journey. 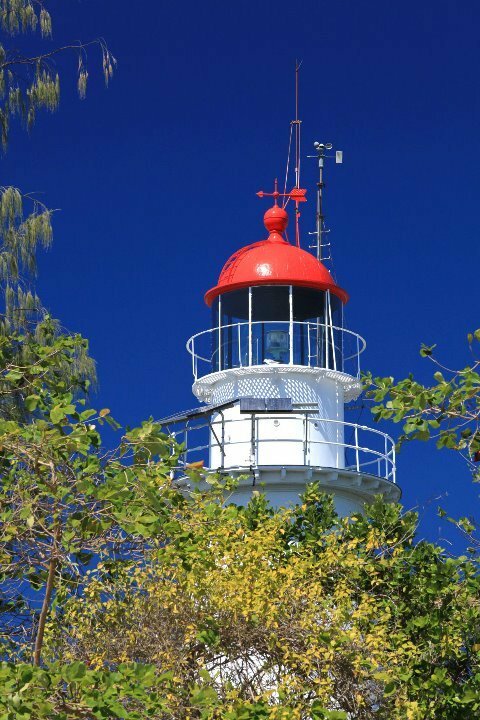 4.30pm Arrival at Marina, Port Douglas. Had great time so many options. We has a fantastic day every thing was amazing the food, staff and the day!! Just poor visibility of the coral and fish , a little disappointing . Would recommend to go to the reef if you really want to snorkel. A great day out despite the rocky waves. Great to have a marine biologist aboard. Lunch was very good. Staff were caring when I threw up! Wavedancer Low Isles was a lovely experience for both adults and children. Perfect place just to relax and snorkel..loved it! A fun day on the water. The only downfall to this day trip is the fact that nothing was noted down in any brochure that stinger suits are an essential during the xmas period because of the stingers. Although it is not a big issue, the fact that we had to pay extra to hire a suit is what annoyed us. 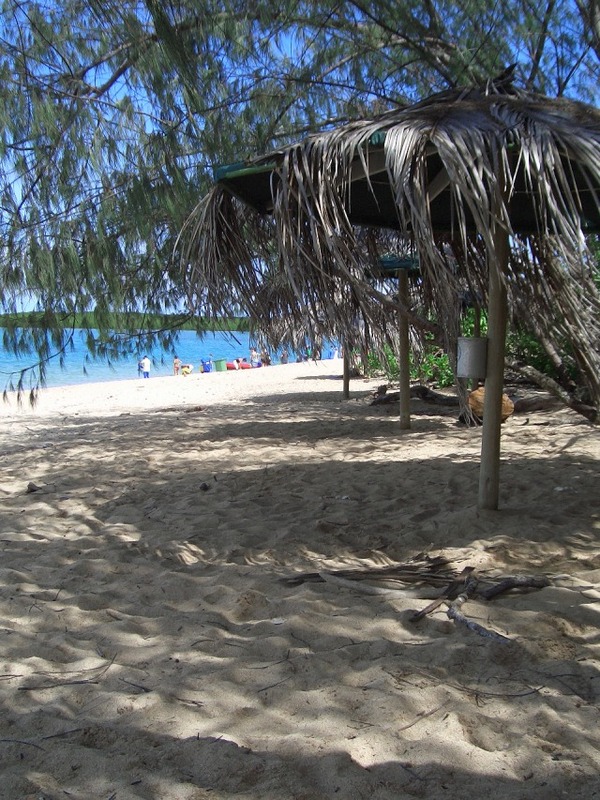 Another downside to this tour is not enough shade on the island itself, as people tend to stretch themselves out under bungalows and people are left in the sun. The staff were excellent, friendly and very helpful and informative. Food was delicious and canteen facilities onboard the boat were great. We would definitely recommend this to anyone looking for a fun day on the water. Loved every minute. Staff were amazing lunch was yummy and the snorkling was so special. Had a great day, staff were very pleasant & helpful. Great fun day for the family. With the help of an excellent weather, spent awesome day on the island snorkelling. Great fun day for the family. Easy to book. The pick and return was great. The entertainment on the return trip from low isles was a nice finish to the day. I am in awe of the Great Barrier Reef...stunning!! Wavedancer was an awesome experience that I would recommend to anyone. All ages catered for. Great staff. Very well run. I am in awe of the Great Barrier Reef...stunning!! We had a wonderful day although it was a little too chilly for just stinger suits - the option of hiring wetsuits would have allowed us to enjoy the snorkelling even more. 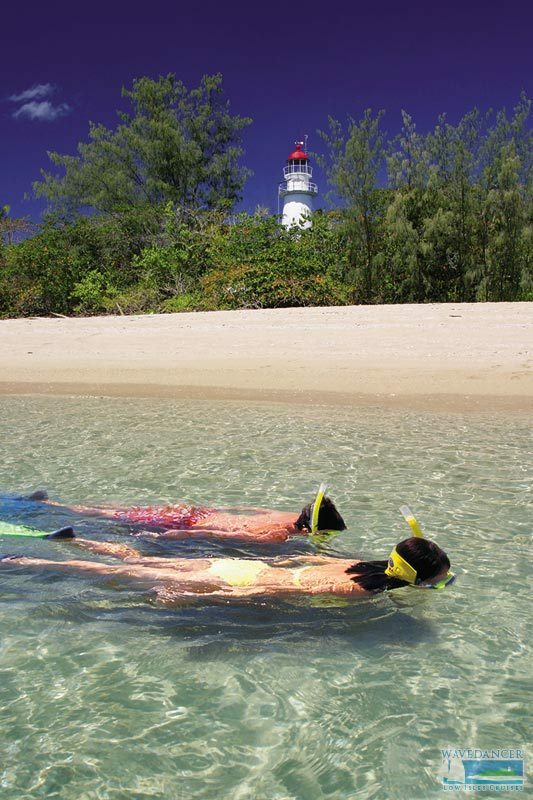 This is a great trip especially for those who like to snorkel off the beach. Great service and wonderful buffet lunch. I had a fantastic day crew were great and very informative, nice food. We thoroughly enjoyed the trip to the Low Isles. We thoroughly enjoyed the trip to the Low Isles. The staff were friendly and helpful and informative about what we were seeing under the water. Cannot recommend this day-trip any more highly. Cannot recommend this day-trip any more highly. Value and service were all outstanding, just two very minor hiccups: The delays when 150 people all want a shuttle boat at the same time, and the extra on-site charge for a lycra suit for snorkelling (that charge could have been built-in to the total price). 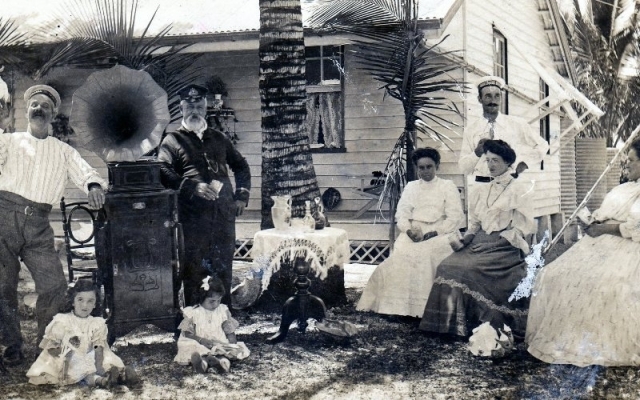 But these quibbles are small beer - if you go to Port Douglas do NOT miss out on this tour. The trip was good but far too overcrowded with queues to get on and off the boat, for lunch etc. 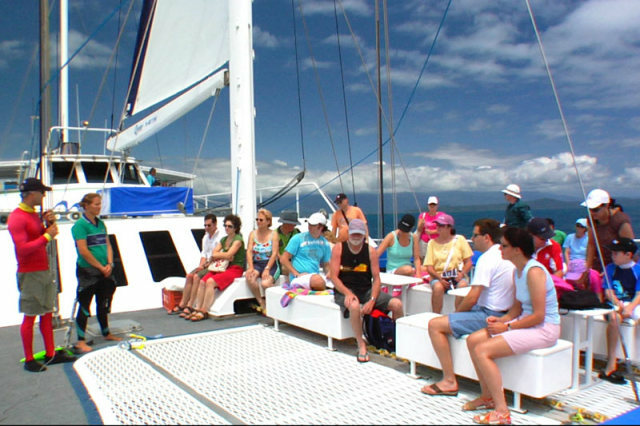 Next time, we would book a trip with a smaller group to the Barrier Reef but staff were very good on the boat and very knowledgeable and helpful but just too busy! Fantastic for the whole family. Had an absolutely wonderful day. Fantastic for the whole family. This was a wonderful tour. This was a wonderful tour. 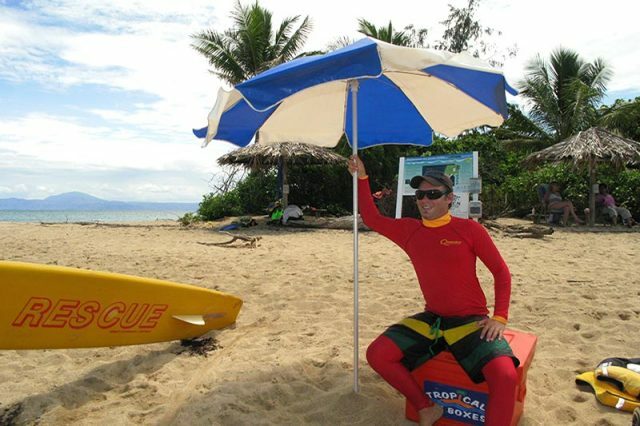 The only minor issue was having to wear the vicro suit if you wanted to snorkel and having to wait until near arriving at the island. I think the suits could have been issued on boarding. As a consequence I did not bother with the snorkeling. But overall, a really good experience. Pity we picked the windiest day to go but staff where excellent. Lucky there was only a small number on the boat. We had the best time on the wavedancer, it was trully an amazing experience, and the staff were so organised, polite and helpful, I loved this. We had a great day out on the WaveDancer the front deck was a favorite place to laz in the sun and watch the water pass by. The crew were friendly and informative. the only Criticism we had was the morning tea and afternoon tea could have been better. We had travelled out to the reef in Hamiltion Island and the food was much better for the same price. over all excellent !!! a fabulous trip! We all had a great day, great service and great memories! This blew all my expectations out of the water! The crew on board were so welcoming and helpful with all the questions that came their way and that continued once we got off the boat and into the water! Would HIGHLY recommend to any one wanting to explore their own piece of paradise!!! This trip was a marvellous experience. The crew on Wavedancer were most professional and the whole day ran like clockwork. We thoroughly enjoyed the whole day. The lunch in particular was excellent. We had such good luck with the weather and the visability was awesome. We had such a great day. The only downside was that we felt like we had to rush to do the activities. 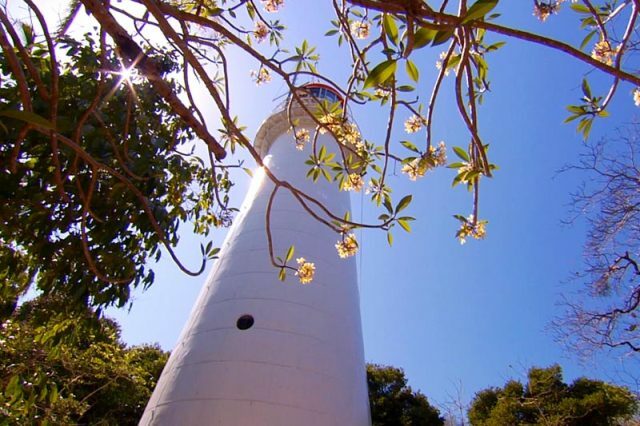 I thought that the trip may have been beter organised by serving lunch before heading over to the beach because you loose time by getting ready to go snorkleing twice and two lots of shutle boats. So you loose appox 45 mins in travel and preparation. An excellent tour for those with children. An excellent tour for those with children. Able to snorkel or just swim off the beach and even had the infant paddling in the water. Excellent customer service topped off a beautiful trip. Great relaxation trip, and the tour was great. Wavedancer was money well spent. 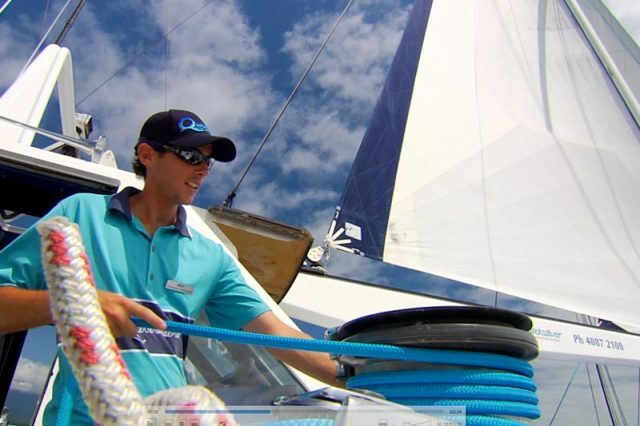 The quality of service and facilities as well as the friendliness of the crew, made the day! Best day of our trip. We were lucky to only have 27 people on the boat. The staff were very friendly and helpful. Made for a great experience. we had a fantastic time, the service was great. would recomend it to any one. thank you for a great time. The staff had excellent customer service. As a vice president of 36 veterinary clinics I am always looking for good customer service. Smiles on everyone made my day.